Happy #SunBearMonday – one on which shy Dorle is finally stealing the show. 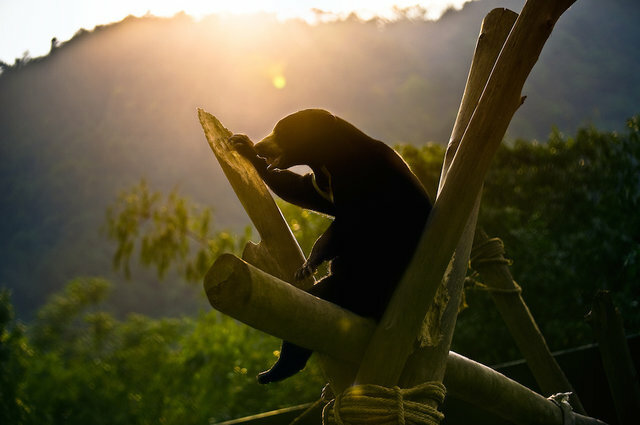 In 2011, Dorle climbed her "watchtower" for the first time – it's since become her favourite place in the sun bear enclosure. Fast forward four years, and Dorle has figured out all the tricks of her high perch, even if she's still a bit cautious in their execution. But just watch her technique as she comes down the left pole of her hangout – despite her not being the most coordinated bear of the bunch she makes it down in seven seconds flat, with not a splinter to show for the effort! 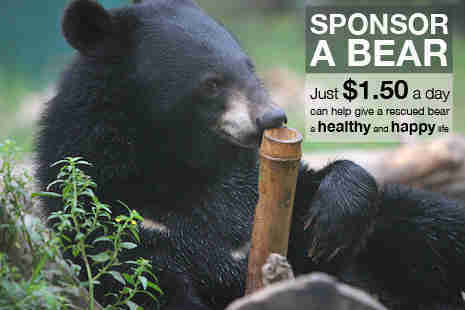 "Dorle is one of our shyer bears, and the platform is her favourite spot. 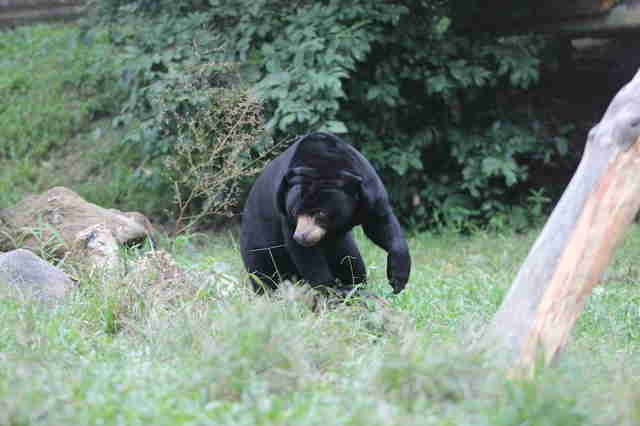 From there, she's got a view on all of the goings on of the sun bear enclosure, without having to get too close. She can see the boys play rough and tumble, and cheer them on. And she can also look up at the sky, at the birds or at the sunset, just going with her gentle mood. 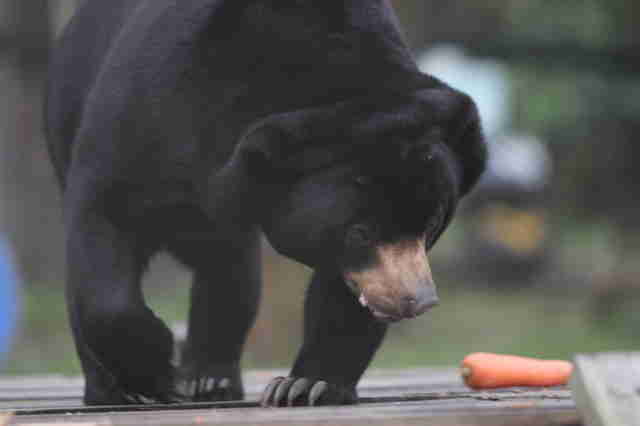 "Sometimes she'll come down and timidly approach our more rambunctious sun bears, who are usually having a tussle. And they'll involve her as if she was always a part of their rowdiness – and after all that solitude she'll have the time of her life." 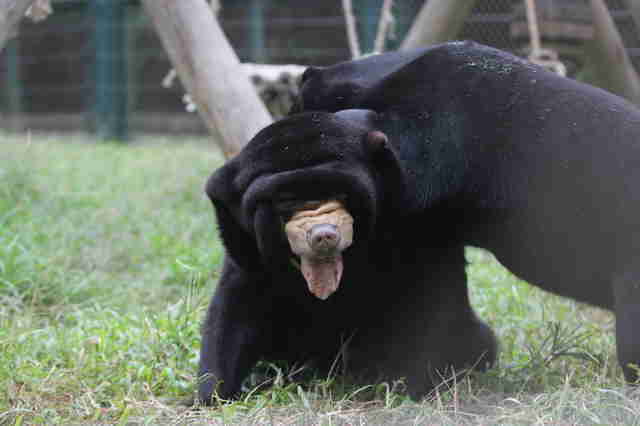 After all, it's #SunBearMonday, and Dorle is showing us all that a little change is good every once in a while.